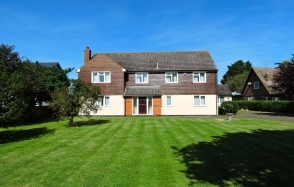 This is a fabulous property, perfect for a growing family moving to Felsted and with approximate room sizes the accommodation comprises solid wood entrance door giving access to the entrance porch with obscure glazed side panels and at the top of the door, ceramic tiled flooring, ceiling light fitting, double opening obscure glazed doors leading through to the entrance hall. 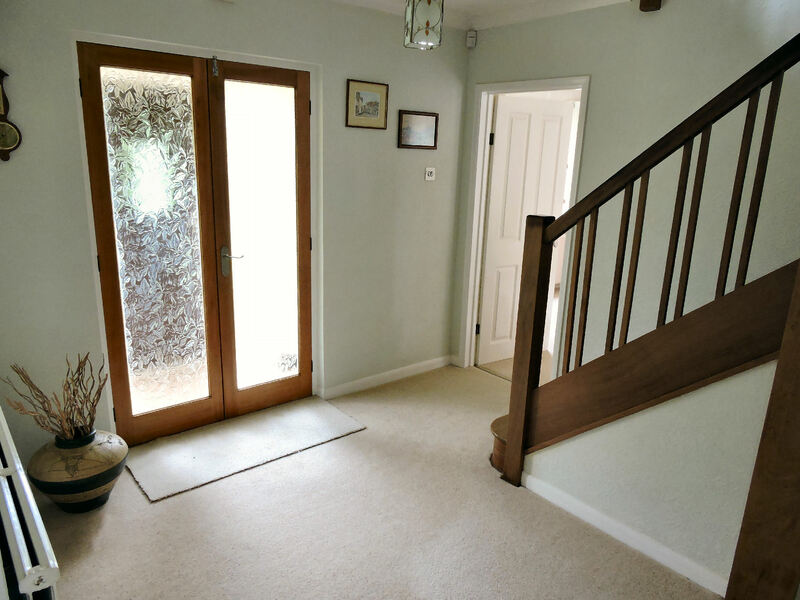 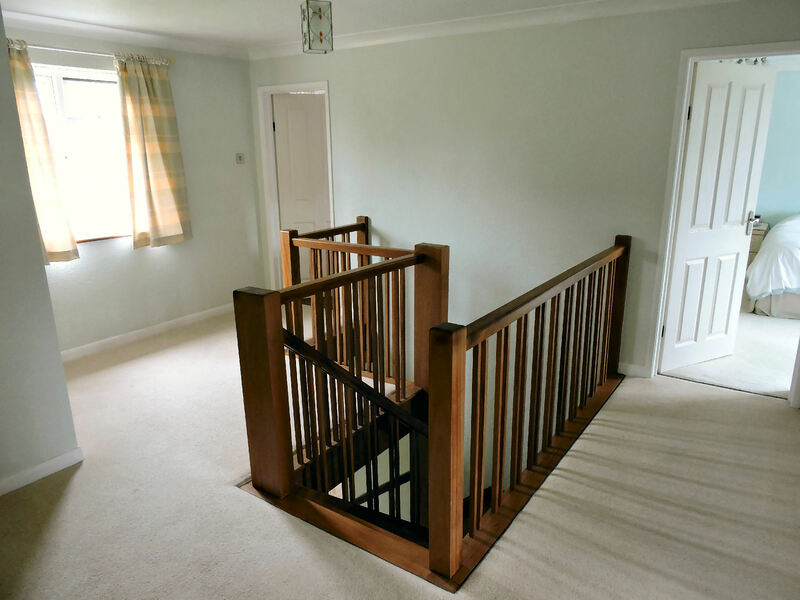 A lovely spacious entrance hall where doors lead to the lounge, dining room, study, cloakroom and kitchen/breakfast room, a turning staircase with half landing rises to the first floor with large storage cupboard under, radiator, ceiling light fittings, power points. 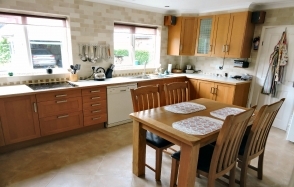 A fully fitted kitchen has timber edged working surfaces incorporating Neff 4-ring ceramic hob, inset stainless steel single bowl and drainer, range of drawers and cupboards under, built in double oven, space for dishwasher, door to utility room, inset ceiling spotlights, tiled splash backs, complement of matching wall mounted cupboards, two UPVC double glazed windows to the rear elevation overlooking the very large garden, radiator, power points, Karndean tiled flooring. 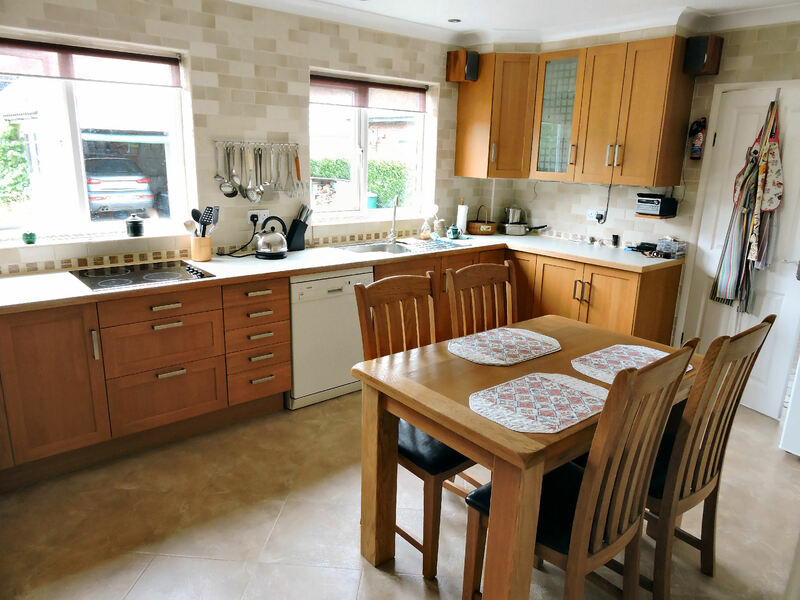 This useful utility room has a timber and glazed door to the rear elevation and UPVC double glazed windows to both the front and side elevations, roll edged working surfaces with stainless steel single bowl and drainer, space for washing machine and tumble dryer, the Camray Quartet oil fired boiler, ceramic tiled flooring, ceiling strip light, tiled splash backs, ample power points. 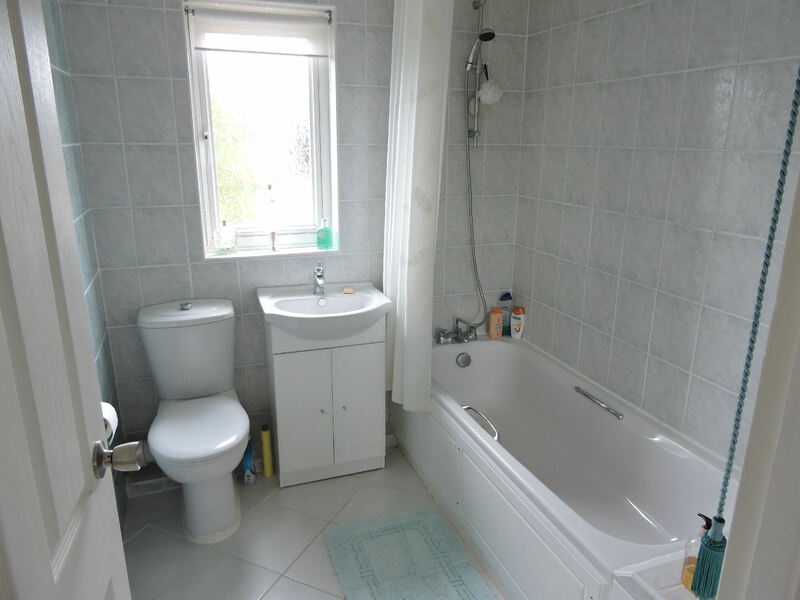 Ceramic tiled flooring and walls, a white suite comprising low level WC, wall mounted wash hand basin, corner shower cubicle with power shower and curved glazed door, water softener, obscure UPVC double glazed window to the front elevation, ceiling light fitting, radiator. 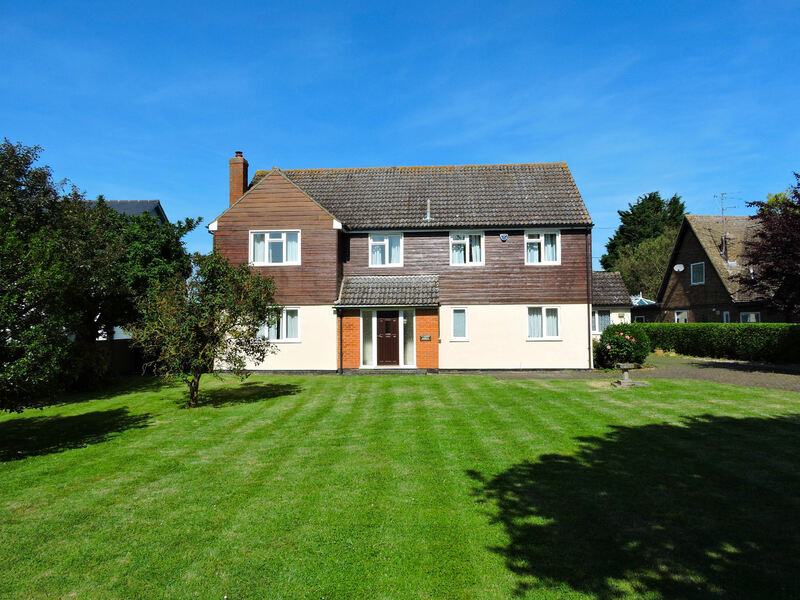 An extremely useful and bright study having UPVC double glazed windows to both front and side elevation, ceiling light fitting, radiator, power points. 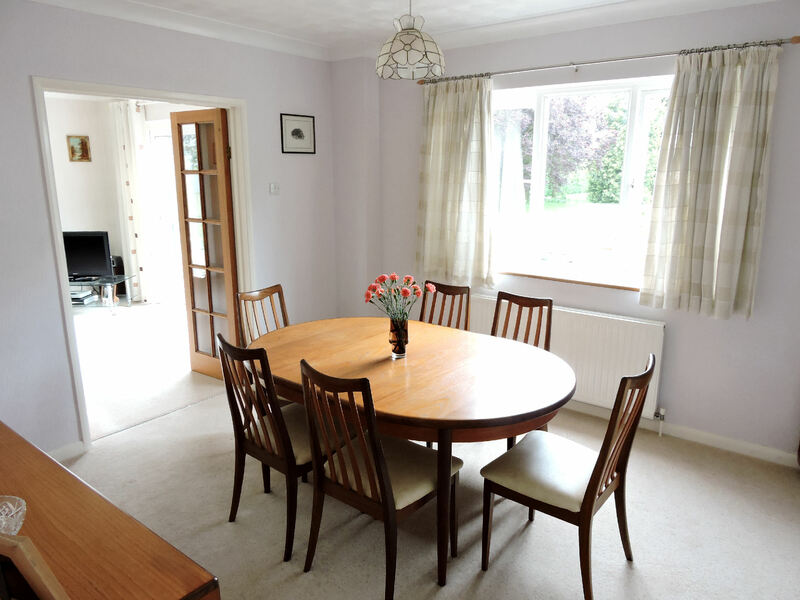 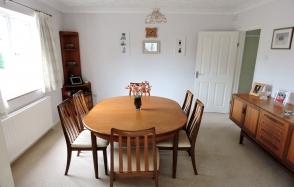 This lovely bright and airy dining room has UPVC double glazed window to the rear elevation affording a lovely view of the garden, timber and glazed internal French doors leading through to the lounge, ceiling light fitting, radiator, power points. A delightful large lounge has a feature log burning fireplace with cast iron log burning stove with stone surround and hearth, UPVC double glazed window to both the front and side elevations, large UPVC double glazed sliding patio doors to the rear elevation, giving access to the rear terrace and garden, wall mounted and ceiling light fittings, two radiators, power points. A spacious landing having doors to all 4 bedrooms and the family bathroom, a large storage cupboard, ceiling light fitting, access to loft storage space, power points, alarm control panel. 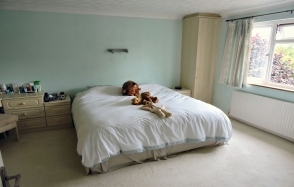 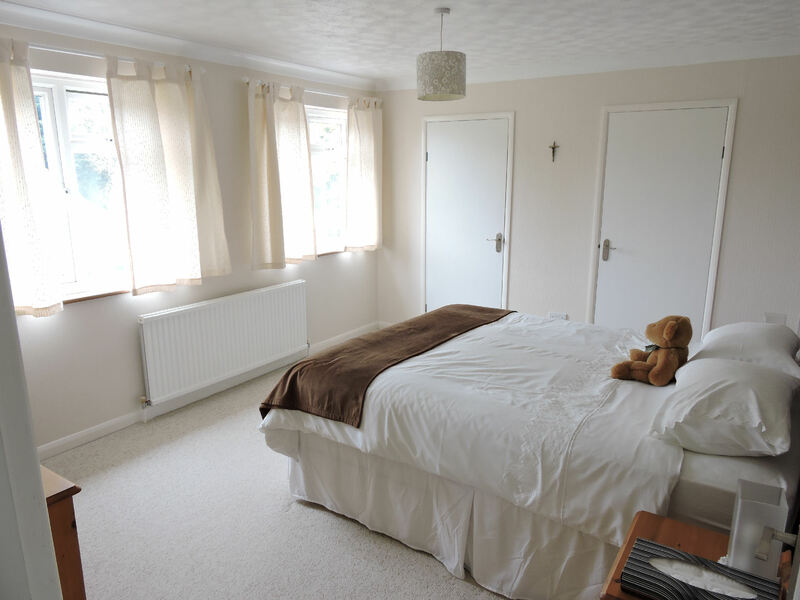 This charming master bedroom has large UPVC double glazed window to the rear elevation giving a fine outlook over the garden, large built in wardrobes and built in corner dressing table area, wall mounted spotlights and ceiling spotlight track, radiator, power points, door to en suite shower room. A white suite comprising low level WC, vanity unit with inset wash hand basin, corner shower cubicle with power shower and curved glazed door, ceramic tiled flooring and walls, heated towel ladder, obscure double glazed window to the rear elevation, inset ceiling spotlights. Another spacious double bedroom with two UPVC double glazed windows to the front elevation, ceiling spotlight cluster, radiator, power points. 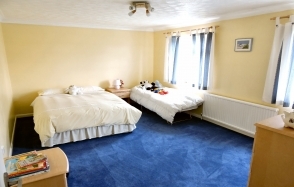 Further double bedroom with two UPVC double glazed windows to the rear elevation, double radiator, ceiling light fitting, large airing cupboard, built in wardrobe, power points. 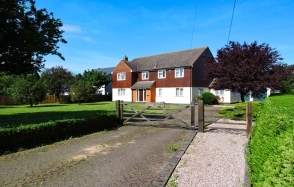 A lovely fourth double bedroom having UPVC double glazed window to the front elevation, radiator, ceiling light fitting, power points. 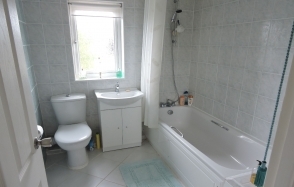 A white suite comprising low level WC, vanity unity with inset wash hand basin, panel enclosed bath with mixer tap and shower attachment, fully tiled walls and floor, UPVC obscure double glazed window to the rear elevation, heated towel ladder, ceiling spotlight cluster. 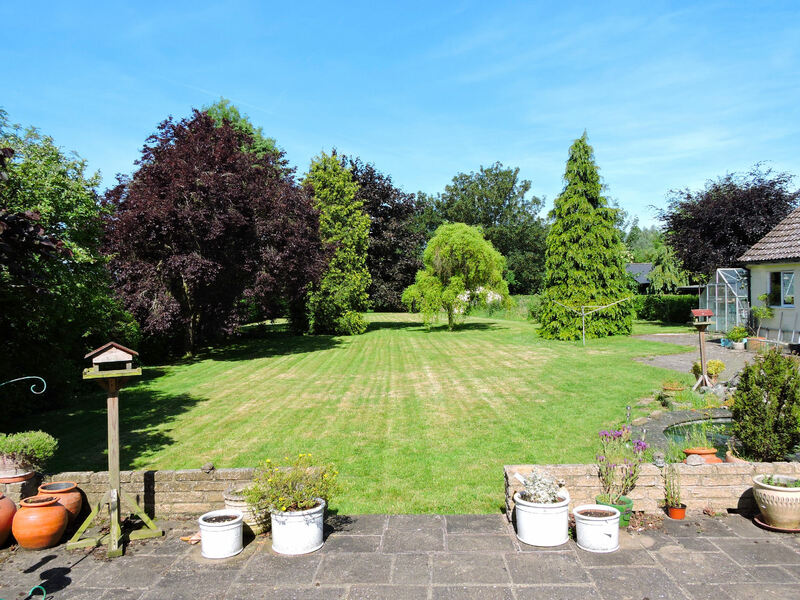 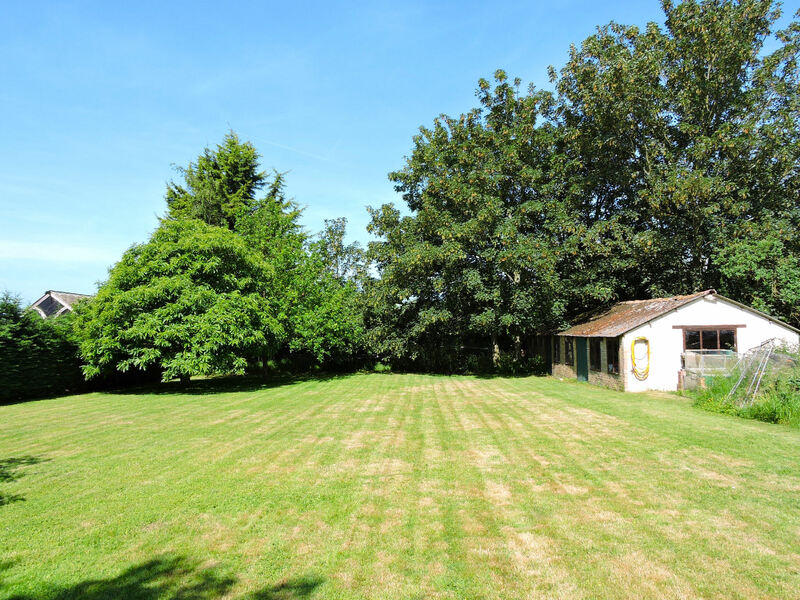 The property is nicely set back from the road and approached through a five bar gate and a large block paved drive, a nice area of lawn with shrub borders, a number of large trees to include an oak tree and boundaries of mature hedges and panel enclosed fencing. The paving continues along the side of the house giving access to the rear garden and the large double garage with up and over doors, power and light connected. The rear garden is delightful and is mainly laid to lawn, the block paving continues round to form a lovely terraced seating area, there is a feature pond with a rockery area, there are numerous trees, a greenhouse with vegetable garden, at the very bottom of the garden is a large outbuilding that was once a workshop having two sets of double doors and housing all the garden equipment and to the rear of the garage is a further large storage shed and workshop with power and light connected and side access doors and windows. The garden is very private and the boundaries are established mature hedging and timber panel fencing. 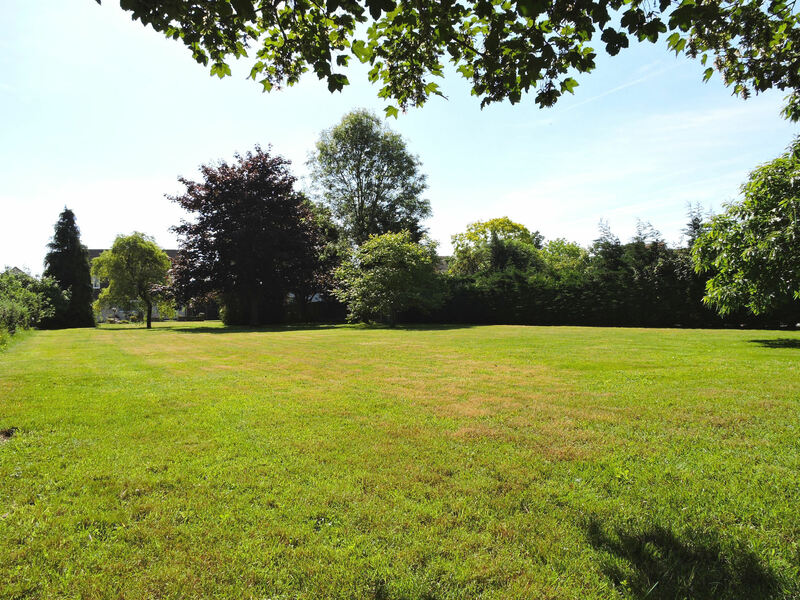 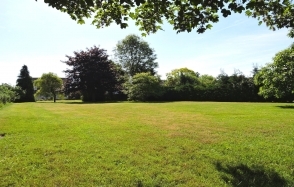 The outside of the property and the gardens are a real feature and the whole plot measures approximately 1 acre (stls). 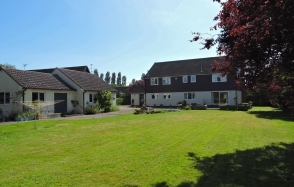 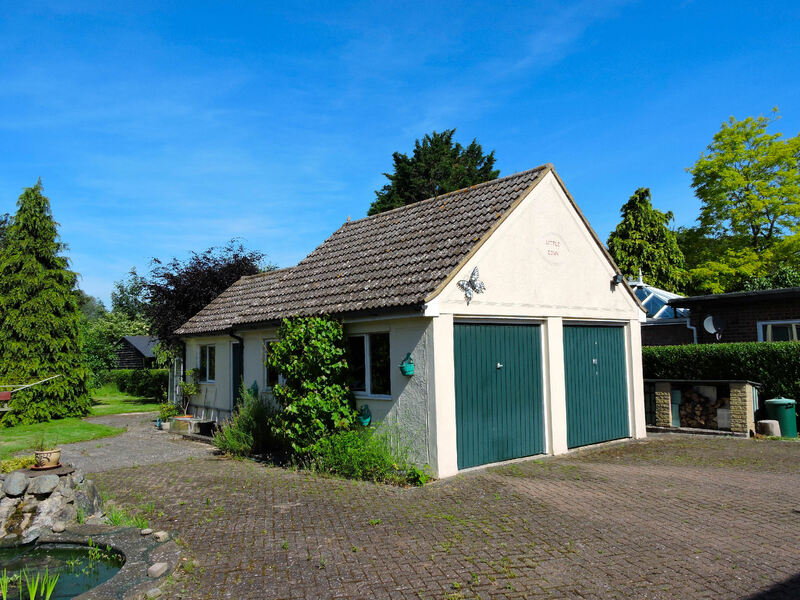 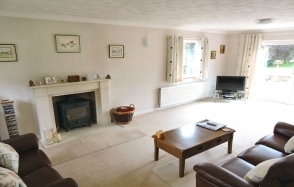 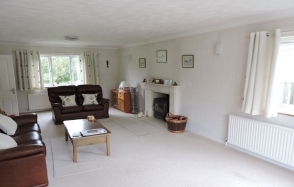 The property is serviced by mains drainage, electricity and oil fired central heating.